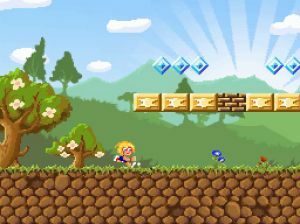 Hamburg, December 09th, 2008 – It was a little bit more than 20 years ago when a game was born that still is a synonym for a whole gaming genre: The Great Giana Sisters made Jump’n’Run gaming available for home computer users all over the world. 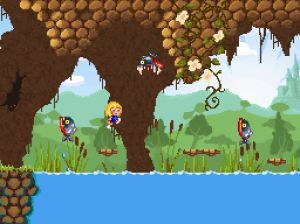 In 2009, the blondes finally return – and with that, they make it all the way to Nintendo DS for the first time. 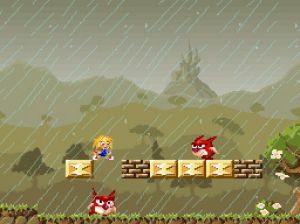 Back in the late 1980’s, there was literally no chance to play Jump’n’Run games on home computers like Commodore 64, Amiga or Atari ST. Until 1987, when a small German development team released The Great Giana Sisters. Their father, Armin Gessert, let them become stars of the genre over night. The Great Giana Sisters was a Jump’n’Run that had everything home computer gamers back then only could experience on video game consoles: A fantastic game world on many different levels, that challenged the players’ hand eye coordination skills to their maximum to jump over deep canyons, collect bonuses and succeed when fighting enemies just by jumping on their back. 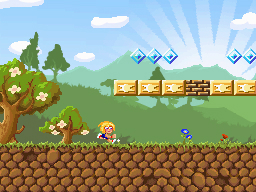 Now, The Great Giana Sisters are finally back! Publisher dtp entertainment and developer Spellbound Entertainment in co-operation with Bitfield are going to release their new adventure on Nintendo DS in June 2009. In more than 80 levels, players experience all the great features of the original home computer version, as well as new features, that are kept exclusive for Nintendo DS. Players will have the Nintendo DS microphone as well as the touchpad, for instance. 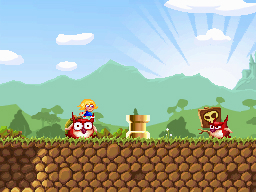 The Great Giana Sisters’ graphics on Nintendo DS both is a redesign as well as reminiscent of the classic game. The music score of the game is a remix by Fabian del Priore of the original soundtrack, written by famous computer game composer Chris Hülsbeck. dtp entertainment is going to release The Great Giana Sisters DS for Nintendo DS in June 2009.